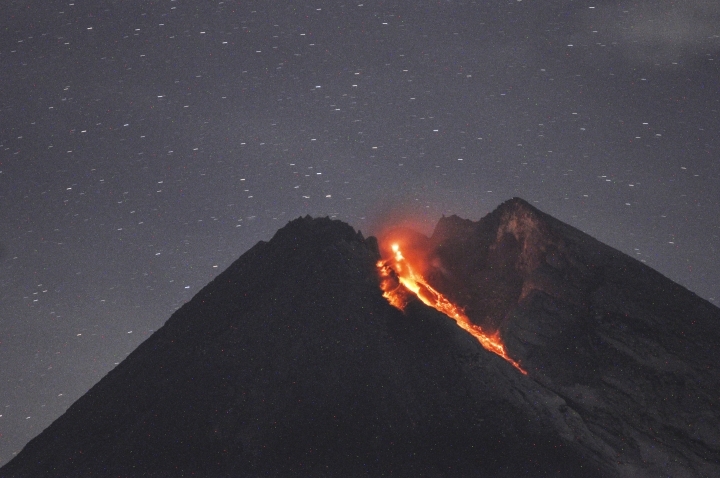 YOGYAKARTA, Indonesia — Indonesia's volatile Mount Merapi volcano has unleashed a river of lava that flowed 1,400 meters (4,590 feet) down its slopes. 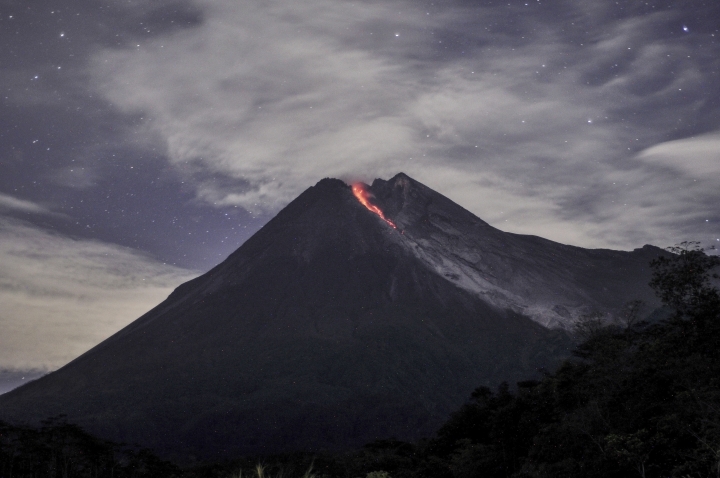 He said the alert level of the volcano has not been raised but people should stay out of a 3-kilometer (1.8-mile) danger zone around the crater. The 2,968-meter (9,737-foot) mountain, located near the ancient Indonesian city of Yogyakarta, is the most active of dozens of Indonesian volcanoes. Its last major eruption in 2010 killed 347 people. Indonesia, an archipelago of more than 260 million people, is prone to earthquakes, tsunamis and volcanic eruptions because it straddles the Pacific "Ring of Fire."